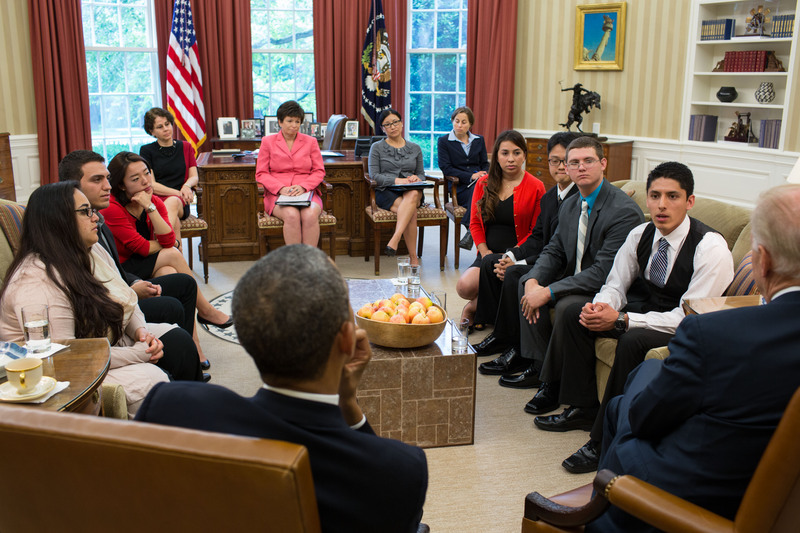 The creation of the DACA program by the Obama administration in 2012 brought hope to over a million young people who who were brought to the United States without immigration documents as children. DACA is an acronym for Deferred Action for Childhood Arrivals. Created by Executive Order, this program allowed those without legal status to be protected from deportation and apply for work authorization if they were under 16 when they were brought to the US, graduated from or were currently enrolled in high school or had earned a General Equivalency Diploma (GED), and did not have a criminal record, among other requirements. Hundreds of thousands of young people appllied for DACA status, were granted work authorization, and have been moving forward with their lives. However, President Donald Trump, since his emergence as a national political figure, has criticized and attacked DACA and promised to rescind the executive order that created it. Soon after his inauguration, he began to fulfill this promise. On September 5, 2017, Attorney General Sessions made a public statement announcing the rescission of DACA. The same day USCIS issued a Memorandum stating that USCIS would no longer accept initial DACA requests or renewal requests except for those that fit within a certain narrow time-frame.